Shonda Rhimes was born in University Park, Illinois, as the youngest of six siblings. Her mother was a university professor and her father a university administrator. Shonda had always excelled at school - she graduated high school at the top of her class and later enrolled at Dartmouth where she received a BA in English Literature and Creative Writing. Afterward, she enrolled in the University of Southern California’s School of Cinematic Arts where she earned her MFA in writing for film and television. Soon after graduate school, Rhimes created and sold her first screenplay, Human Seeking Same, but the film never made it to production. Despite her play’s abrupt end, some good did come out of it: she was hired to co-write the movie Introducing Dorothy Dandridge whose star, Halle Barry, won numerous awards for. With her elevated status as a writer, she had the opportunity to write for the 2004 movie Princess Diaries 2: Royal Engagement. Rhimes’ experience working alongside beloved Hollywood icon, Julie Andrews, was invaluable. Shonda Rhimes’ career took off after she focused her attention on TV. She made her mark by being the creator, producer, and head writer for one of the most beloved television series in television history, Grey’s Anatomy. As a result of her talents, she became the first African-American woman to produce a top 10 rated show on network television. The medical show debuted in 2005 and is now on its 15th season. Shonda’s inspiration for the show came from her obsession with watching surgery channels. She was also motivated to produce a show about “smart women competing against one another,” and she certainly managed to do that with relatable characters and a stellar storyline that keeps you on the edge of your seat. Grey’s Anatomy, rightfully, has been nominated for 25 Primetime Emmy Awards, and many of its actors have received accolades for their brilliant performances. Her success in television doesn’t end with Grey’s Anatomy. She also produced Scandal, a political show starring Kerry Washington, and the hit drama-murder series How to Get Away With Murder. Scandal ran for 4 seasons and was a ratings hit before it ended in 2012. How to Get Away With Murder launched in 2014, starring Viola Davis as Annalise Keating, a law professor who becomes unfortunately involved in a murder plot with five of her students. Viola Davis is constantly praised for her performance in this show, becoming the first African-American woman to win a Primetime Emmy Award for Outstanding Lead Actress in a Drama Series. The show itself won the 42nd People’s Choice Awards for Favorite Network TV Drama and was renewed for a fifth season in September of 2018. 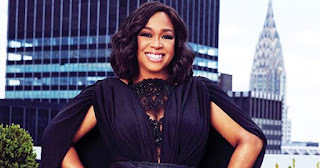 Shonda Rhimes recently signed a contract with Netflix to write a new show about the migration of African Americans to the northeast U.S. during the 20th century. It seems there’s no stopping Shonda Rhimes, and with her new beginnings at Netflix, she is sure to produce more ingenious, loveable characters for her fans to enjoy.